As a wedding professional, I think it is super important to always learn and grow so that I can offer my clients the very best of service! Part of that service includes helpful tips and tricks for my couples so that they have the knowledge and tools to be fully prepared for the absolute best celebration! This winter I am kicking off a blog series! Almost every Wednesday I’ll be sharing a “wedding Wednesday blog” offering advice, tips and tricks, and some of my own experiences! Stay tuned each week and feel free to let me know if you have specific topics that you want covered! 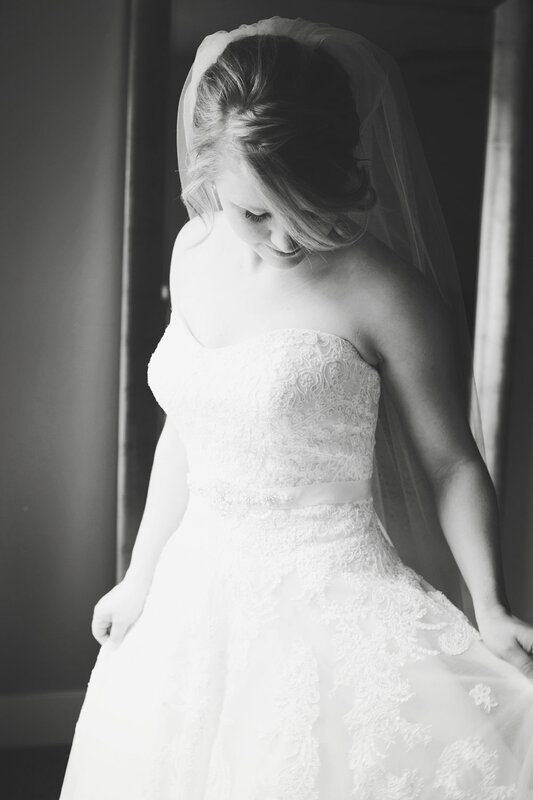 Blog number one is near and dear to my heart and it’s coming to you straight from MY WEDDING! I got married May, 21, 2016 and although I thought I was prepared, there was still so much that I learned from my day! Time goes by soooo much faster than you expect! I got my hair done, spend some time chatting with my bridesmaids and then before I knew it, it was time to get in my dress and I wasn’t even done with my makeup! Pro tips 1. Do a trial run with your hair and makeup artists so you can plan accordingly. 2. 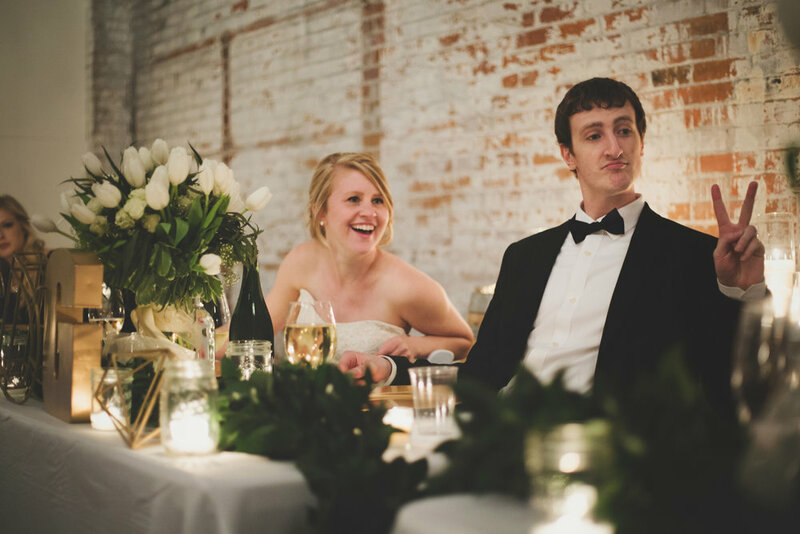 Have your wedding day coordinator or someone designated to keep things on task. You’ll want to make sure to celebrate, but also keep things moving. Pack detail items, décor, emergency bag, and everything that you need for your day the week of the wedding and double and triple check – and then designated someone to be your errand runner just in case. Because we did the décor largely ourselves, I made sure that every piece was accounted for and in a designated space to be picked up and brought to the correct location. The same goes for your dress, bridal details, and everything else! We didn’t have a ton of crazy special details (I LOVE IT WHEN MY BRIDES DO!) But we did make sure to tell our photographer the details we had so she could captured them all! The detail photos are printed in my wedding album and help me to relive the day! Have light snacks and water readily available! If it’s a warm day, hydrate! You might be starving, or you might be too nervous to eat, but have food available for you and your family and bridal party. Take time to take in the details – the day after my wedding I couldn’t even remember how the table decorations ended up looking! My photographer was amazing and captured a ton of detail photos for me, but I wish I had soaked them in a bit more that evening. Your smile will probably get sore, but your pictures will be worth it! Before the wedding day, we discussed with our photographer what photos were the most important to us. We put more emphasis and time into making sure our smiles were fresh and spontaneous for those photos and more natural and candid for the photos that weren’t as important. For me, bride and groom pictures were by far the most important. Yes, I love all of my other photos, but the photos of Dodge and I starting our lives together in our wedding clothes will always be my favorite. Traveling to locations eats up time! If you are limited on time, try to find a place to do a good majority of your pictures. We picked out an epic spot for our first look, which happened to also provide an amazing spot for the bulk of our photos. We had about an hour drive from where we got ready and did the first look, to Walla Walla where the ceremony and reception. We built in a little extra time into our drive so that we could make a few stops to take in some of the amazing Washington landscape! Onlookers? I wasn’t a fan of having people watch during photos, and as a photographer, I know that it slows down progress when well-meaning friends and family members are trying to get your smiles with their iPhone. We avoided the hassle by doing all of our bride and groom photos at locations separate from the rest of our party and having them join us in time to have them join in for bridal party and family photos. Bridal party! Designated one of the bridesmaids to keep track of the bouquets. Guys boutonnieres or bow ties? Designate someone to help. Family wrangler – Tell the family to be there approximately 15 minutes (or more) before they are needed for pictures to get boutonnieres/corsages in place. PRINT YOUR PHOTOS!!! I had a budget line item in our wedding budget for canvases, an album, and prints because I wanted to make absolutely sure that I would bring these memories to life off of the screen. 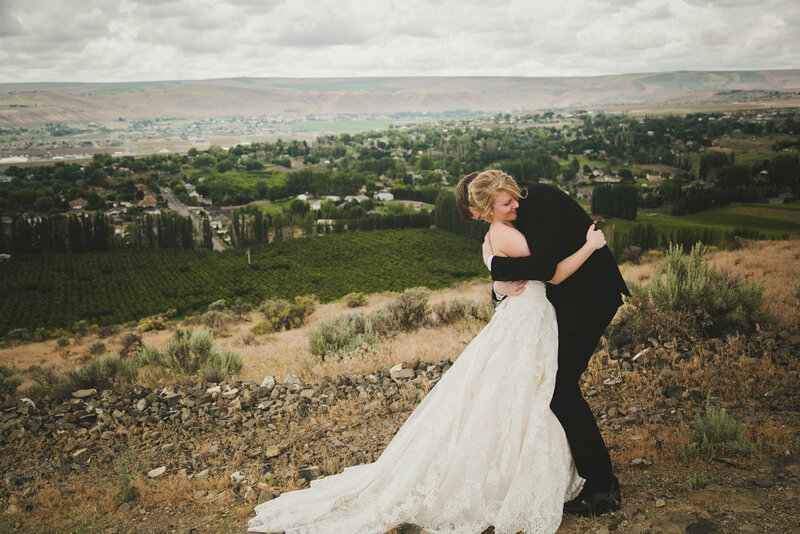 Photo locations: First look - Almost the top of little Badger for the desert terrain and stellar view of the Tri-Cities, Wallula Junction for the view of the Columbia River Gorge, and Canoe Ridge WInery because I love old brick! LIFESTYLE: A photographer for the sweet moments, memories, and milestones that make up your life! Share the story of your bump, your baby, your senior, your growing family with a lifestyle session. Business lifestyle sessions and headshots also available.